The «Machine translation and post-editing» workshop was organised by the language service provider ASTW (a-stw.com) and attracted numerous students, freelance translators and project managers to Genoa who wanted to familiarise themselves with the subject of machine translation. My workshop focused on the practical aspects of post-editing such as working methods, advantages and disadvantages of the different engines, and tips and tricks for our daily work. Domenico Lombardini and Francesco Mana from ASTW reported on their overwhelmingly positive experience with MT in the translation of patents. ASTW has a number of engines that it «trains» with customer data to guarantee the accuracy and terminological consistency of the output followed by revision and improvement by an internal team. Diego Cresceri, owner of the Creative Words (creative-words.com) agency, demonstrated how useful machine translation can be as a tool for successfully managing large-scale multilingual projects within short timelines. The workshop was a premiere for me: my first time presenting to an Italian audience on the subject of post-editing. And what about Genoa itself? With its narrow streets and charming mosaic-decorated arcades, the salty breeze from the sea, and lively city bustle, Genoa immediately captured my heart and reminded me in many ways of the unforgettable city of Trieste, where I studied. One highlight was taking the elevator up to the Castelletto, where the entire city then lies at your feet! Ms Grizzo’s talk clearly and precisely demonstrated the potential of a useful resource to translators that makes the process faster and more efficient without compromising on the quality of one’s own work. I found that the talk reflected the current demands and trends of a profession reliant on lifelong learning, and therefore would certainly recommend further talks by the speaker. 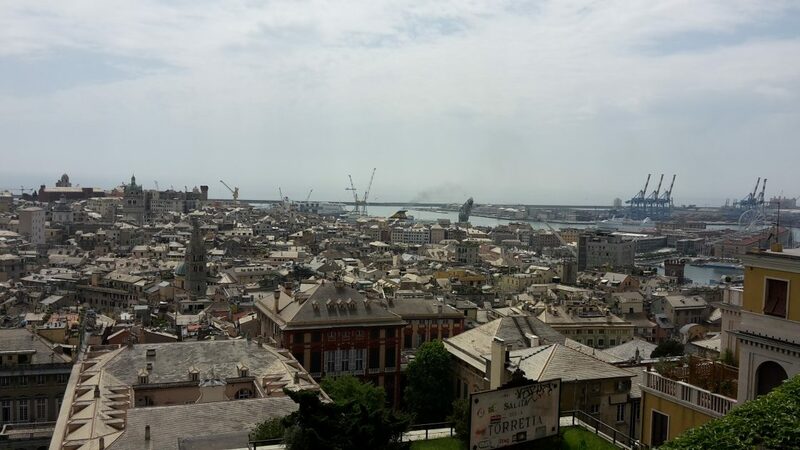 The ASTW office is located in the heart of the historic centre of Genoa. The nearest metro stop is Darsena.